​This library program​ helps children to build a love of language and literature. 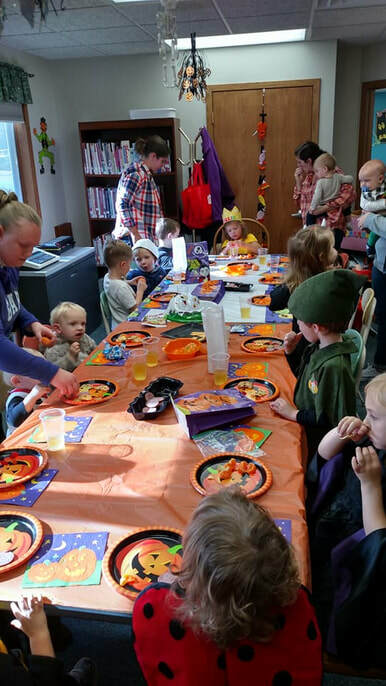 Each session includes stories, songs, craft, and other themed activities that promote reading readiness and socialization skills. Story Hour is held on Wednesdays at 10:00 am and is geared for children ages 3-5 years, but all ages are welcome. ​This school-year, we will be alternating a playgroup session with Story Hour every other week. During playgroup, parents can organize specific activities or just allow kids free play with library toys and books. Our theme for this Fall and Winter is "I Spy". 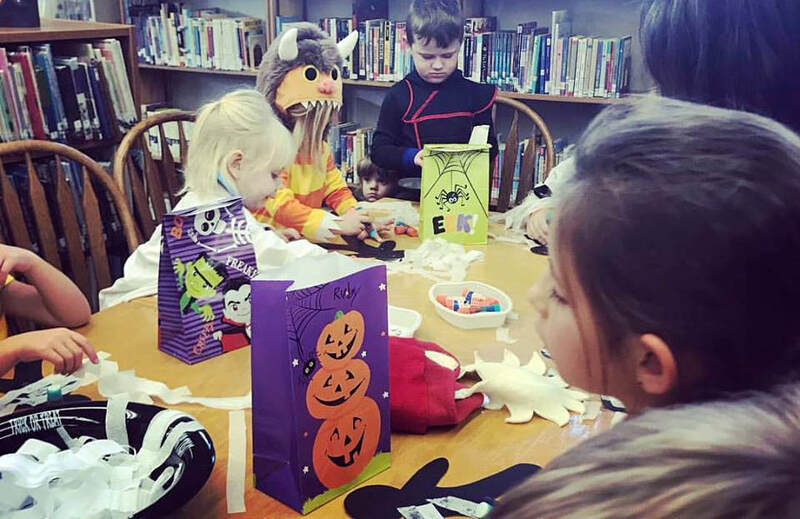 Each of our Story Hour programs will "spy" a different seasonal subject. Also, be sure to check out our "I Spy" aquarium that which changes each week!